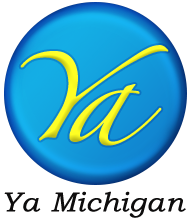 Thank you for supporting and reading yamichigan.com, the fastest growing online publication in the Middle Eastern-American communities. We deliver the news directly to your cellphone or tablet. “ In each and every election, it's your rights, it's your freedoms, it's your interests that are on the ballot." Hijab stylist Nada Makki held a successful grand opening for her new store, Modish Hijab, Nov. 2nd, offering a unique one-stop-shop for hijab and accessories. Hijab styles, ladies only. Simple yet elegant. A premium high-class restaurant in Dearborn is for sale due to retirement. ONLY THE BUSINESS IS FOR SALE. The restaurant features a gourmet menu, excellent service and a loyal and affluent clientele; it seats about 200 people, and about 40 percent of its business is catering to businesses, parties and private homes. 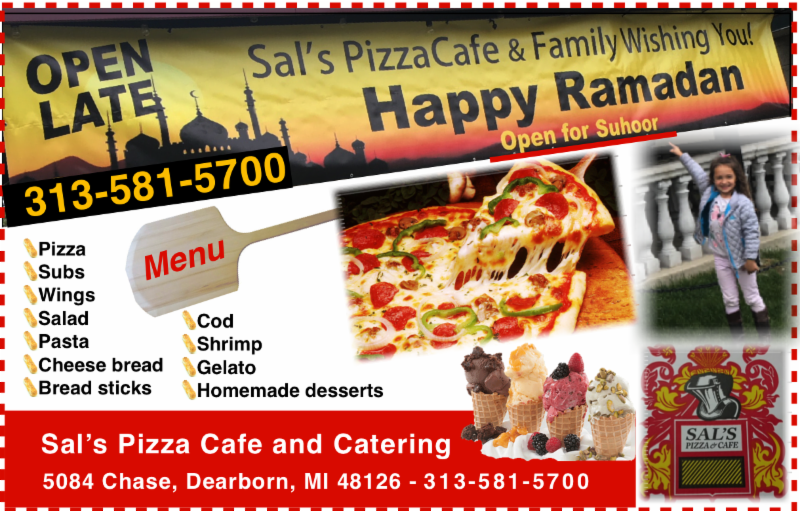 This the business opportunity you have been waiting for to own one of the best restaurants in Southeast Michigan and have access to the best and well trained chefs, cooks, and wait staff. 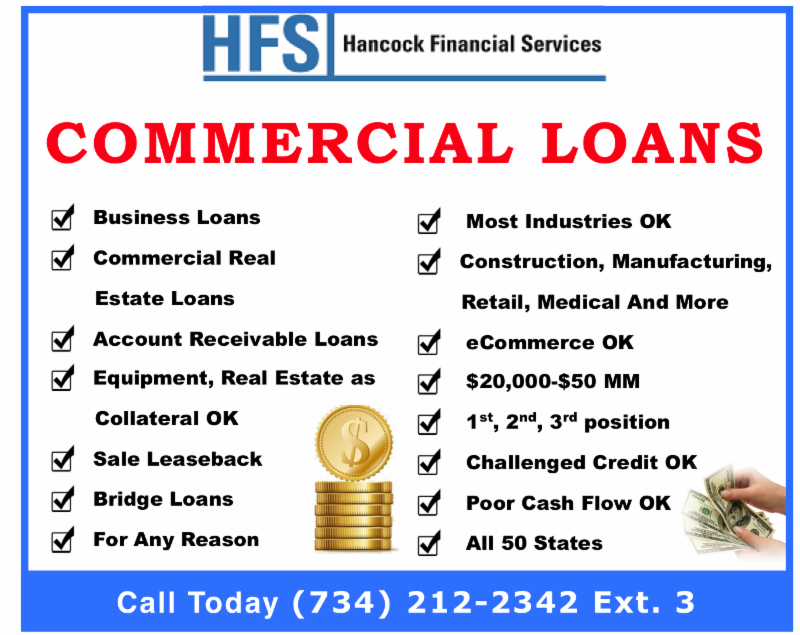 For more information, call Khalil at 313-819-0101. How do you start your plan for a better life? The housing market continues to appreciate in the Dearborn Dearborn Heights area. The recent statistics show that the number of days on the market is between 15 or 25 days for any home that is close to market value. 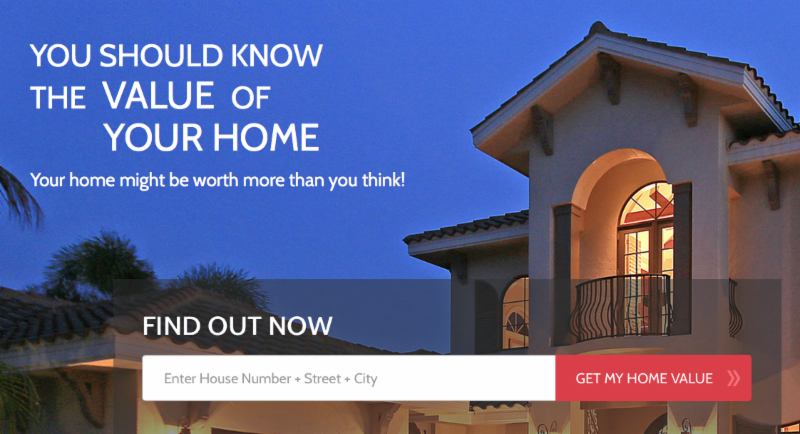 The number of homes on the market in both cities continues to hover over 500 listings. The median sale price continues to increase to about $140,000, an increase of about 10 percent from last year. Sellers continue to market homes higher than market value of about 3 percent. For more information about the housing market, call 313-819-0101. 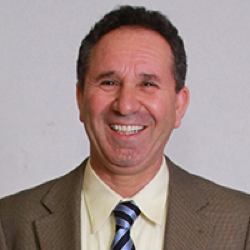 We would be more than happy to conduct a free market analysis on your property. 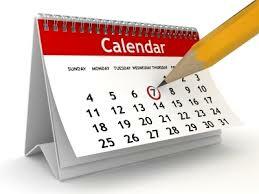 We have several clients looking for homes in the Dearborn and Dearborn Heights area. If you have a home for sale, call 313-819-0101 for a free analysis. Allow individuals 21 and older to purchase, possess and use marijuana and marijuana-infused edibles, and grow up to 12 marijuana plants for personal consumption. Impose a 10-ounce limit for marijuana kept at residences and require amounts over 2.5 ounces be secured in locked containers. Create a state licensing system for marijuana businesses and allow municipalities to ban or restrict them. Permit retail sales of marijuana and edibles subject to a 10% tax, dedicated to implementation costs, clinical trials, schools, roads, and municipalities where marijuana businesses are located. Change several current violations from crimes to civil infractions. - 5 who self-identify as unaffiliated with major political parties. Prohibit partisan officeholders and candidates, their employees, certain relatives, and lobbyists from serving as commissioners. 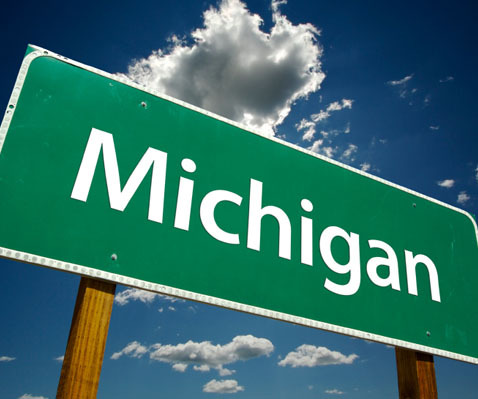 Establish new redistricting criteria including geographically compact and contiguous districts of equal population, reflecting Michigan’s diverse population and communities of interest. Districts shall not provide disproportionate advantage to political parties or candidates. Require an appropriation of funds for commission operations and commissioner compensation. Become automatically registered to vote when applying for, updating or renewing a driver’s license or state-issued personal identification card, unless the person declines. 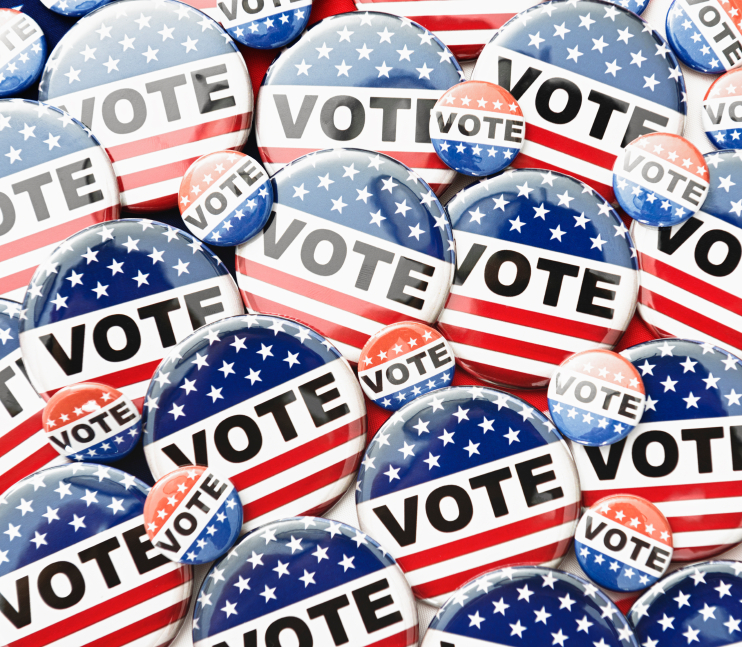 Simultaneously register to vote with proof of residency and obtain a ballot during the 2-week period prior to an election, up to and including Election Day. Obtain an absent voter ballot without providing a reason. Cast a straight-ticket vote for all candidates of a particular political party when voting in a partisan general election. This information is provided to help you understand the proposals. Get accepted into Medical School! 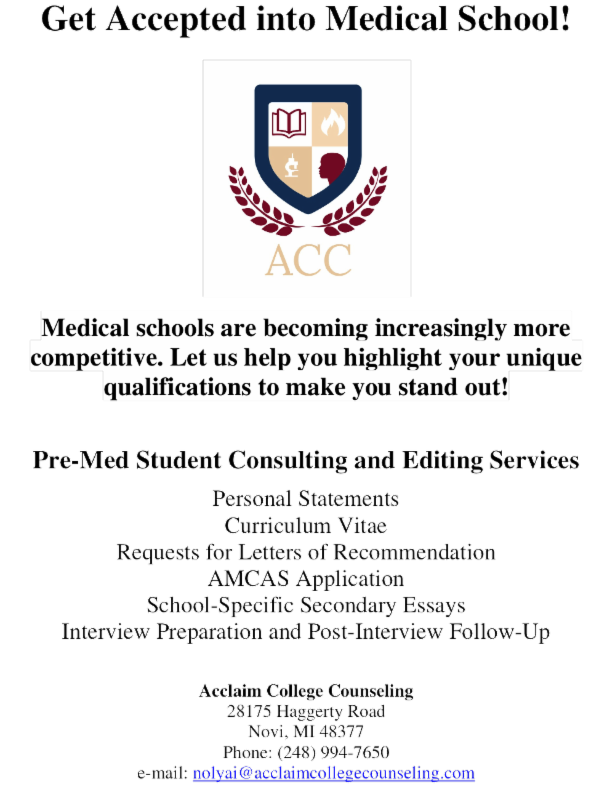 Medical schools are extremely competitive. Acclaim College Counseling can help highlight your unique qualifications to make you stand out! 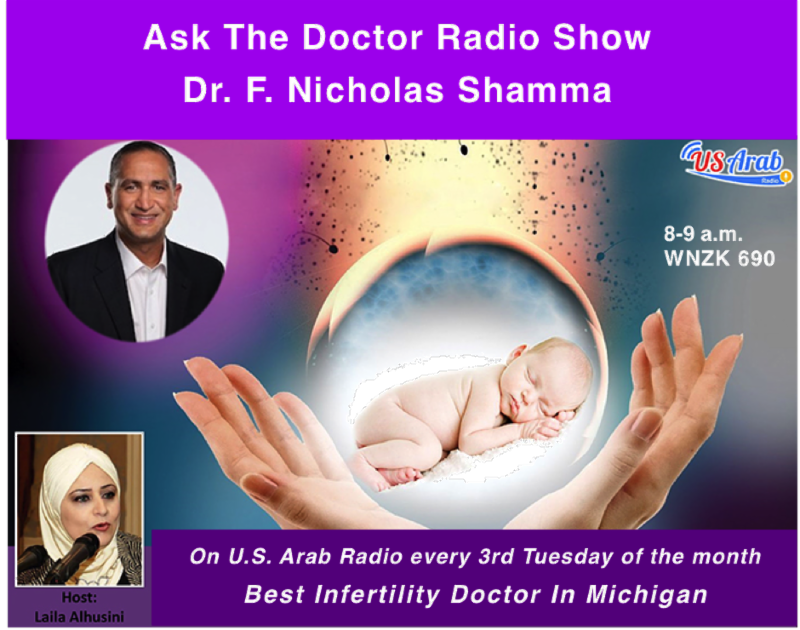 US Arab Radio is honored to host Dr. F. Nicholas Shamma, one of the best infertility doctors in the state every third Tuesday of the month to discuss infertility issues and information. The show is broadcast on WNZK 690 AM from 8-9 a.m. EST. 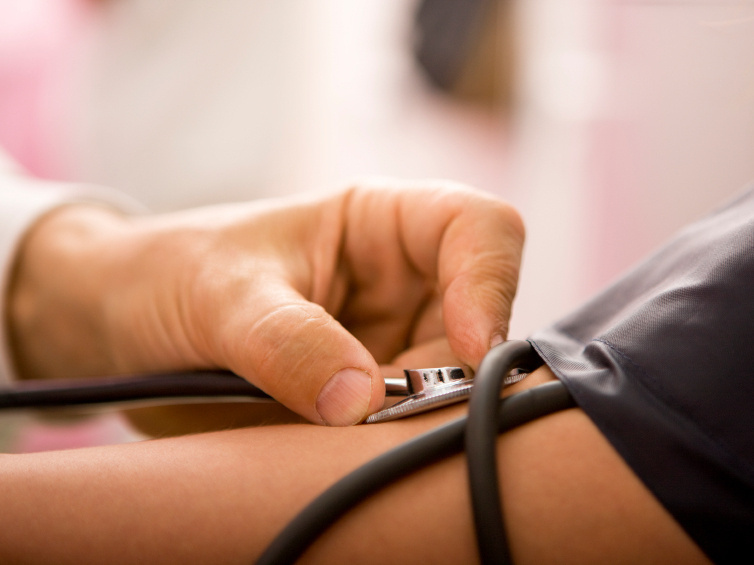 Health insurance exchanges: What you need to know If you don't have health coverage or need financial assistance to afford it, a health insurance exchange can help. Find out how they work and get answers to common questions. ﻿ Soup recipes for fall and beyond Brisk autumn days seem to call for a warm bowl of soup. 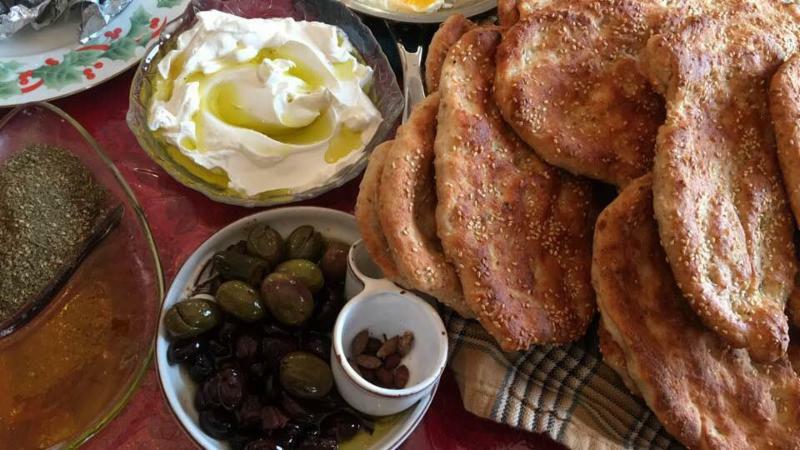 Here are some simple yet tasty recipes to try whatever the weather. ACCESS provides an array of services and programs to the community. Click here for more information. Trump collusion: How afraid should we be of Mohammed Bin Zayed of the UAE? Who is behind Trump's links to Arab princes: A billionaire friend. Which country the US will invade next? Did an Emirates-Israel Alliance Help Elect Trump? A Patriotic Fourth: What Does That Mean Now? Why do we have a government for? Accusation of Israeli Apartheid Stirs Up a Storm of Passions in the U.N. Does Trump's slap-in-your-face management style work? Did someone share this email with you? Sign up to receive more of our emails.